Grimsby. Welcome to a virtual tour of the the town of Grimsby, Ontario, Canada. Grimsby is located in Niagara region. Visit us in Grimsby. Grimsby now has 2 live webcams, one downtown (courtesy Glen Elgin Real Estate) the other over looking Lake Ontario (courtesy A.R. Services Industrial Instrumentation). Administerd by JEFS Online. Grimsby, Ontario is a town of 20,000 located at the western end of Lake Ontario. The Niagara Escarpment is the dominant geographic feature with the main business and residential sections of Grimsby below and a more pastoral setting above (although there are many orchards, vineyards and farms both above and below the escarpment). There is no single, dominant industry or business in Grimsby but there are many small manufacturing and light industry operations (mainly located along the QEW). The downtown core offers a variety of retail and service businesses. 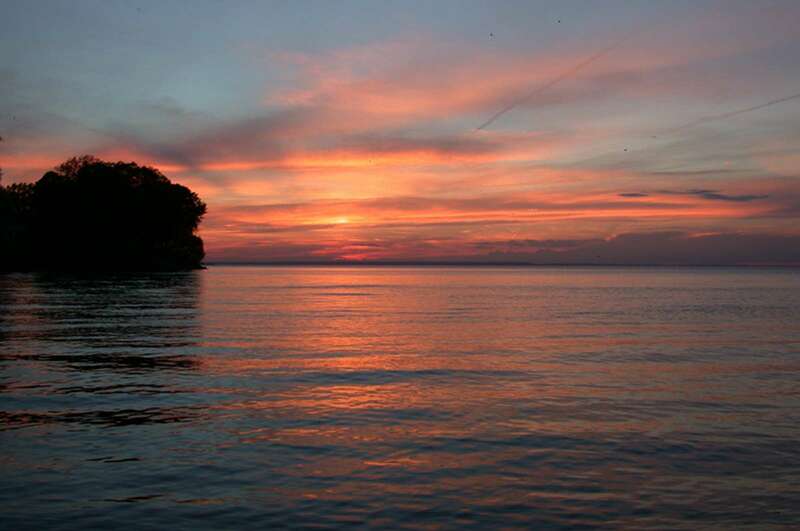 Recreational activities include: boating, sport fishing and watersports on Lake Ontario, hiking the Bruce Trail along the Escarpment, visiting the many local wineries, vineyards and fruit farms. Biking and running are also popular in the area as we play host to a number of organized events and races throughout the year. Yes, like many places in Canada, we do share our name with a city in England. Like to find out about the "other" Grimsby .... Grimsby U.K. click here. The Grimsby Public Library/Gallery has re-opened in it's new location. The new library and art gallery are situated adjacent to their previous location with the main entrance and parking access now on Victoria Ave. 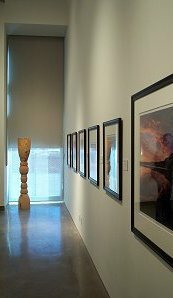 This beautiful new facility had its official opening on February 27, 2004 featuring an exhibit of photographic art by Roberta Bondar (Canada's first woman in space). For more photos of the library/gallery click here. The earliest known residents of the Grimsby area were the Neutral Indians who had a large village and burial ground near the escarpment. They were a prosperous, peaceful people. Unfortunately, they were wiped out by their enemies by 1650, and never met the Europeans who came later. In 1787, a group of about 40 Loyalist families traveled together from New Jersey to make a new life in Upper Canada. They settled on Forty Mile Creek which became the centre of the village. The waterfalls provided power for mills to grind grain and saw wood, while the large pond at the mouth of the creek made an ideal harbour. From an agrarian pioneer village in its early days, Grimsby evolved into an industrial centre in the mid-1800s. During the latter part of the 19th century, industries that developed included John Grouts's foundry making state-of-the-art farm machinery, George and John Van Dyke's carriage shops, and Hugh Walker�s many enterprises involving stoves, hospital furniture and metal goods. During the same period, fruit-growing became an important part of the local economy, and for nearly 100 years, the fruit-growing and canning industries were dominant. In the 21st century, Grimsby has become a residential community. It is considered one of the major �beauty spots� of the Niagara Region. 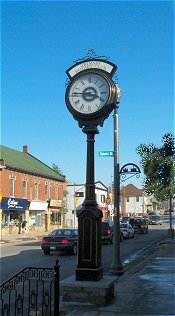 For more local history visit the Grimsby Historical Society web site click here.